Here is some of the feedback from this issue. The article about keeping off the kilos called ‘Keep It Moving To Keep Off The Kilos’. I learnt about a yoga website. For future editions I would love more of these types of articles similar to this with great advice and resources. Below is a consolidation of the wonderful feedback and product recommendations we received from our readers. Can you recommend your favourite products? Currently I am enjoying a new crispbread from France. le Pain des Fleurs. There are 3 flavours,quinoa,buckwheat and chestnut. My absolute favourite is the chestnut. Great with summer toppings and also GF spreads. Sukin natural skin care and spiral foods miso paste! What did you learn or what was your favourite article, recipe or product recommendation from the Let’s Party Emag. We have a Mystery prize for our favourite entry. 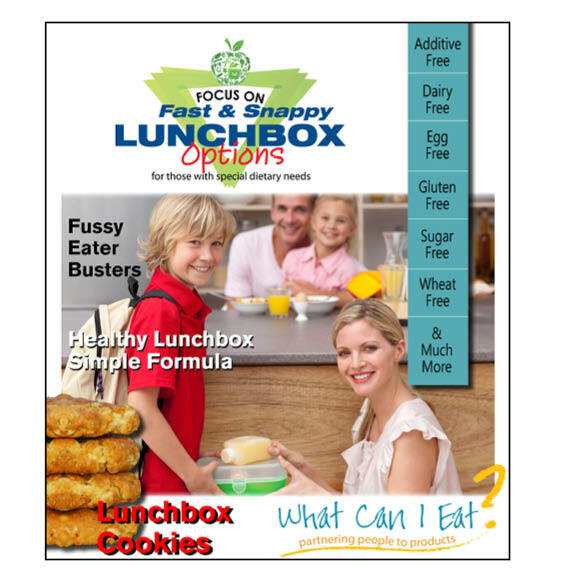 I LOVED the grain free lunch box E-book filled with awesome idea’s. Also the Pizza-Scroll recipe, the Raw Chocolate cake, the scones and the Banana Coconut Pancakes were very much appreciated by my kids !! The home-made ginger beer recipe was my favourite because I don’t like ginger but I think using this recipe I’ll finally be able toincorporate ginger into my diet. Yay. Banana and Coconut Pancakes – going to ask chef if I can invade the kitchen next weekend! The Lime Coriander sweet potatoes. Learning a whole new way of not only eating but preparing food, is difficult. Loved the pizza scrolls recipe! It’s the first I’ve seen with no yeast. Brilliant- will be making it tomorrow!! Healthy Entertaining. I always seem to think of two menus for entertaining: mine and theirs. This articles showed me I don’t have to do that. A successful event can be enjoyed by everyone with the same food! The sugar article was my favourite, I didn’t realise sugar can be that bad for the body, would probably expain a lot of my problems. Please let us know what your favourite Winter food or product is. Moroccan chickpea and eggplant stew! Banana and sticky date pudding. GF jam donuts to die for! Your chance to WIN – Sky Ranch Bakehouse fresh Honey Cinnamon Snaps premix and pre-made packet. Congratulations to all the entries and particularly the lucky winners, you should be expecting your packs in the mail shortly. 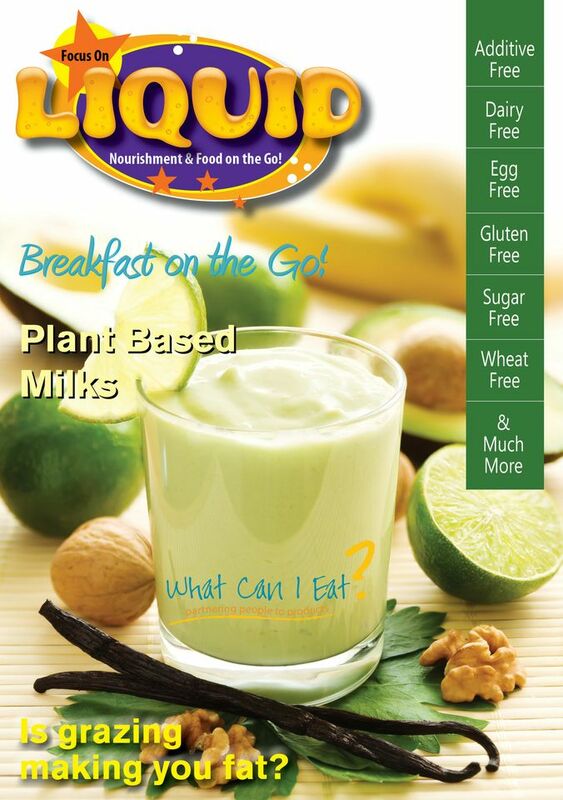 Feedback & Winners from the Focus on Liquid Nourishment & Food on the Go! CLICK & WIN – WINNERS! 3. Food for Health – Muesli, Kids bites, Kids bars and Gluten free bars giveaway. I have just had breast surgery for breast cancer I’d love to juice for health and healing it would be a wonderful. A Payne, Victoria. Busy family of 5 with active gym members, growing teenagers , university student, workers, coeliac, vegan, diabetics – therefore our nutritional needs must be easy & premium. Being a coeliac and recently had gastric surgery, a juicer would be invaluable. The great recipes which cater to my multiple food intolerances and actually look and sound tasty yet healthy. Easy recipes with wide variety of ingredients! Well done! I’d so love to give it a go, it would be great now while I’m recovering and building up my strength and imune system again. I love the ready reference chart about what you can readily and more cautiously mix together for different juices on page 37. I use a regular juicer but your advertisement on the cold-press juicer has me wishing I could buy one, as I need juice everyday. I don’t drink enough during working hours and think that having the ability to make my own smoothies at work would assist me in my quest to have fast food and fluid at the same time. Share your highlights of the Liquid Nourishment and Food on the Go ! To be honest I’ve just started out on this journey and I just love all the tips and Ideas to make my life much easier and enjoyable. I most like the recipes. It is amazing, I have made the old banana smoothie for years but that is were it stopped, grateful for new ideas. Being able to mix and match fruit and veggies to make nourishing and delicious smoothies. Liquid Nourishment – helps reduce over eating you can take it anyway – your not locked down to sit and eat/drink..
My highlight was the colloidal mineral article, it is a good reminder. I also liked the link to the additive free pantry info and link to website. Is grazing making you fat? (The question is phrased strangely – not sure what you want). Finding new items I never new are out there and not sold in supermarkets. I am curious how young coconut kefir is made (website isn’t up yet). I am having FMT but later I think I will always be paranoid I am not getting enough probiotics so would love to look into how coconut kefir is made (as long as it has no dairy of course!). I love that it gives my daughter age 10 whom is gluten, dairy, yeast, and wheat free options. I have been printing these books out and putting into a folder for her for future reference, but for now also for me to be able to feed her as normal as possible with plenty of lunch box options. Love it! • A tie between Barenuts muesli and the Silent Juicer!! • Loved all the recipes – some fast, idiot proof ones I definitely want to try! 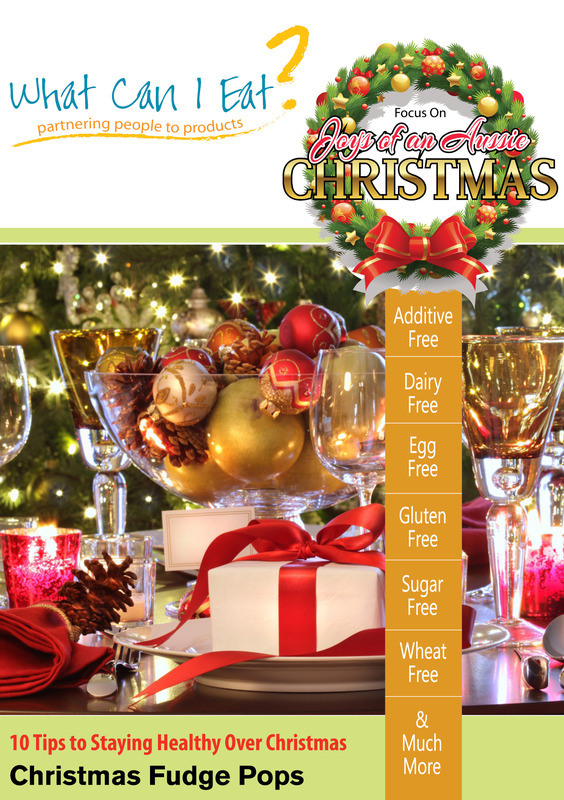 • Great to find glutenfreeshop.com.au advertisement . I have never come across it before so its just what i need! • All content was enjoyable to read. Love the recipes. • The juicer…and the mango macadamia muesli looks yummy!